Mama Fashionista: Quinn invites you to "Fall into beauty" with Orico London! Lola's Secret Beauty Blog: Mario Badescu+Peptide Renewal Serum= A great and effective serum that is an anti-aging powerhouse! Makeup Demon: Creative, interesting and simple Halloween makeup ideas by A-listers. TheFabZilla: TheFabZilla does a back-to-back review and FOTD post of her recent Sephora haul: DIORBLUSH Mimi Bronze & ROUGE DIOR Rose Dolce Vita. Glamorable! : Eying that pretty Sephora X glitter top coat? Glamorable swatched Demolition over different nail polishes and here's the result. The Passenger Element: Tiny Haul ft Jordana, Wet n Wild and Cover Girl. 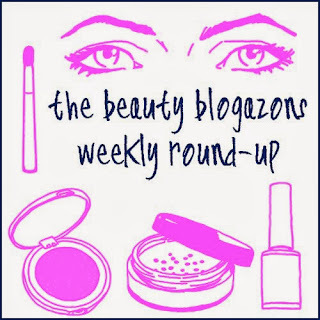 Makeup, Life and Love: Looking to join the Cleansing Balm hype? Jamie shows us an affordable option that gives those expensive balms a run for their money. Beauty Professor: In the form of a video demonstration, the Beauty Professor shares her experience with the Hana Professional Ceramic Straightening Iron! Put On Your Big Girl Lipstick: Put On Your Big Girl Lipstick gives a quick Fragrance 101 lesson and shares her favorite fall & winter perfumes. Daydreaming Beauty: Daydreaming Beauty and Sassy Fashionista attend a new Sephora JCPenney store opening! Blush and Beakers: The most beautiful Nail Wraps I've Ever Tried: Revlon by Marchesa 3D Nail Art Jewel Appliques.